There are many different ways to tour Stanley Park and see all it has to offer! There is a horse-drawn carriage tour, bus tours, walking tours, bicycle tours, photo walk tours, private tours, a driving tour, running tours, and a website tour. This page will explain all about them. Most of the tours are seasonal, but some operate in the off-season. There are also a number of historical, First Nations, and foraging walking tours in Stanley Park during the summer months. There is even a photography tour on which you can tour Stanley Park and improve your photography skills at the same time! So, there are many ways you can tour Stanley Park. 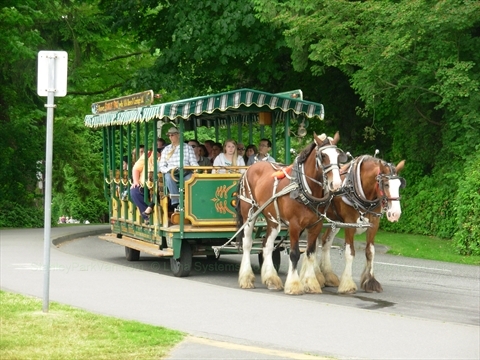 The Horse-Drawn Carriage tour of Stanley Park is one of the most popular tours in Stanley Park. It is a paid, narrated approximately one hour tour on a carriage pulled by big beautiful horses around half of Stanley Park. The carriage goes by many of the attractions on the east side of Stanley Park such as the Totem Poles, Brockton Point Lighthouse, SS Empress of Japan Figurehead, and the Rose Garden among many others. The tour makes a short stop at the Totem Poles where you can leave the carriage to take photos. This tour is seasonal and operates from late February to early November every year. This is a tour that just requires that you can sit in the carriage so it is good for all ages and abilities. 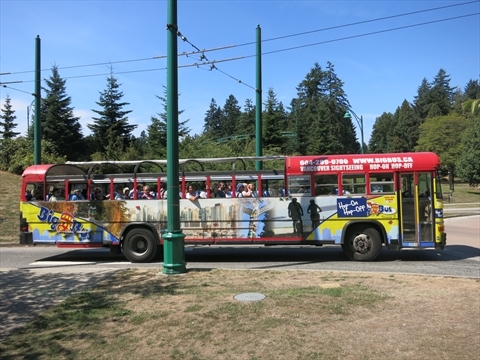 There are a number of companies that offer bus tours of Stanley Park. There are 2 types of bus tours, ones that go to specific attractions and hop-on/hop-off where you can get off and on when and where you want. 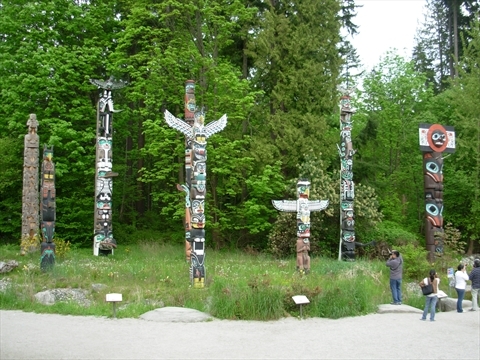 The specific tours usually only go see things such as the Totem Poles and Prospect Point. 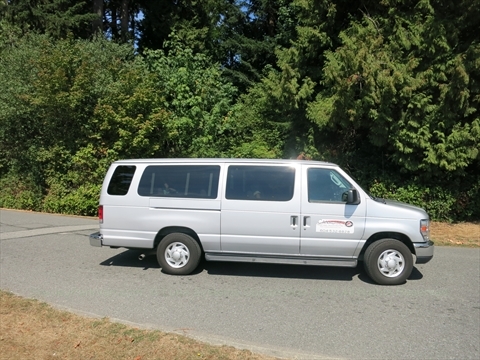 The hop-on/hop-off bus tours have up to 10 different stops in Stanley Park so you can see almost all the attractions in the park. These bus tours are good if you want either a quick tour to see a few of the main attractions or want to create your own tour. If you want to see an attraction like the Vancouver Aquarium for a half or full day it is probably less expensive to take a bus or taxi into Stanley Park, then paying for a bus tour. 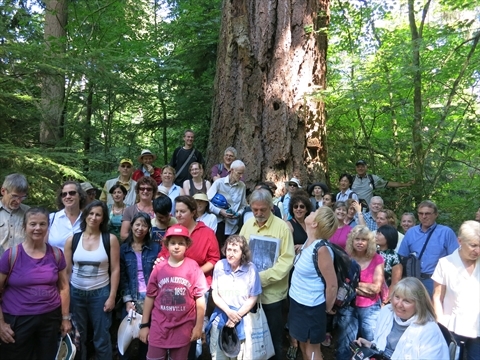 There are a number of fantastic walking tours of Stanley Park every year. There are historical, First Nations, tall trees, plants, foraging, bird, animal, and other walking tours throughout the year. Additionally, most years there are some special events in Stanley Park that offer tours of locations such as HMCS Discovery Naval Reserve, Police Mounted Squad barns, Malkin Bowl, Vancouver Parks Board Office, etc. that are usually off-limits most of the time! These walking tours of Stanley Park are usually quite reasonably priced and well worth the price. Most of these tours will require you to do an easy walk for a few hours. There are a number of companies that run bicycle tours that go into Stanley Park as part of the tour. Most of these start just outside of Stanley Park and go into Stanley Park to see some of the Attractions. At least one of the tours uses electric bicycles which makes the tour less effort. You do need to know how to and be able to ride a bicycle to take these tours. An alternative to taking a bicycle tour is to rent a bicycle and tour Stanley Park yourself using information from our website. You can either ride the dedicated bicycle lane on the Stanley Park Seawall to go completely around the park and/or ride your bicycle on the bicycle allowed Trails within the park. With a bicycle you can stop at any of the Attractions that you want. You can also take a guided photo walk tour of Stanley Park where you will learn how to take better photos and also see some of Stanley Park attractions. 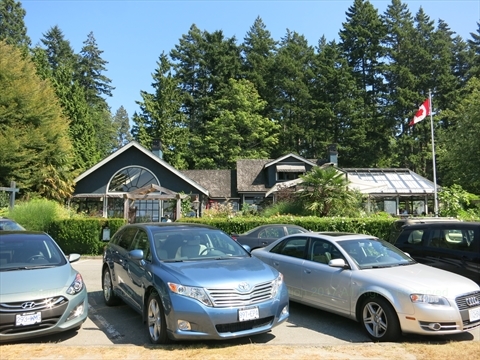 A great way to see exactly what you want in Stanley Park is to take a private tour. There are tour companies that offer tours in small vans and that customize their tours based on the participants. We recommend a few companies if you click for more details. If you have access to a vehicle it well worth driving around Stanley Park on Stanley Park drive as a tour! You will pass by all the main locations in Stanley Park such as Brockton Point, Lumbermens' Arch, Prospect Point, Ferguson Point, Ceperley Park. Along the way you will see many of the park's attractions. Good thing is that when you pay for parking in one location it is good for the time you paid for in all the other parking locations in Stanley Park. There used to be a running tour of Stanley Park, but as of 2019, we are not aware of any active running tours at this time. This shouldn't prevent you from running in Stanley Park, you will just need to follow your own route! The most common route is to run all the way around Stanley Park on the Stanley Park Seawall. From the start of the seawall at Coal Harbour all the way around Stanley Park to English Bay is just over 9km. You can tour Stanley Park online by visiting all the web pages on this website. We are continually adding new pages and new information so come back regularly to see what is new! We have built a tour into our site. Just click on the links in the 'Stanley Park Tour' section near the bottom of every web page, e.g.